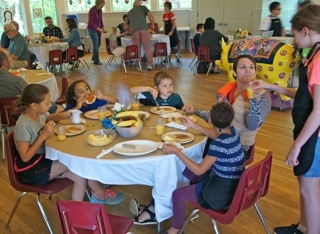 For the past few years on the Saturday before Mother’s Day, we’ve enjoyed a hearty breakfast of pancakes, fruit and turkey sausage served by TNSM students. It’s a great opportunity to visit with friends, alumni, neighbors and other TNSM staff and parents while also enjoying a fabulous art show of students’ work. Tickets can be purchased at the door for $7/ person or $25/ family. 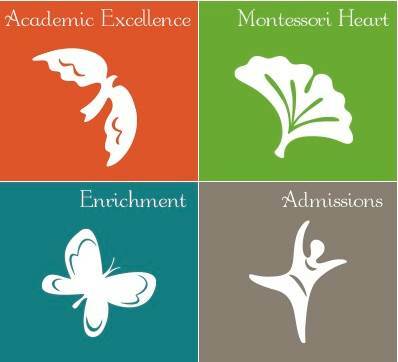 Each year, New School Montessori sixth graders embark on a year-long odyssey, researching a topic of interest to them. They condense their fifteen-page papers into riveting 5-minute oral Power Point presentations. In the span of a pleasant evening you can learn about many interesting topics and characters from history. Our alumni often return to the school to support this year’s 6th graders. They’ve shared that their Senior Project experience prepared them – not only for the rigors of junior high and high school – but for writing, public speaking and the joy of learning they have experienced in their university studies and in their careers. All are welcome to attend. It’s something special to see. Preprimary students and parents enjoy a lovely picnic lunch provided by TNSM. Bring blankets to spread on the ground of the (3-6) play yard. Following the lunch, we will have a brief Step Up Ceremony to honor the kindergartners’ time in preprimary and to advance them to 1st grade. Both the lunch and the celebration should be over by 1:00. All preprimary children will need to be taken home at 1:00. Ex-Day will not be available for preprimary children that day.